Sometimes running isn’t an option – learn these low impact cardio alternatives to help you stay in shape, without the stress on your joints. Let’s be honest, staying in shape is not an easy task. In fact, for many of us, having to schedule in a work-out can be a daunting task. And while running may be an easy and affordable way of staying in shape, not everyone is a fan. We’ve rounded up a selection of low impact cardio alternatives that are not only fun and different, but that actually work. In addition, if you suffer from any sort of ailment that could pose a danger to your bones and skeleton (like Osteoporosis, Arthritis, etc.) low impact cardio for bad knees may also be a useful tool to keep in your book and still stay health and in good shape. The benefits of adding low impact cardio to your routine are plenty, and they go beyond losing those few extra pounds that you packed up during the holiday season. Low impact cardio is an amazing way to keep your heart health in check, work on your body’s balance, lower your fat and cholesterol levels and even enhance your respiratory health. Moreover, there are also many low impact cardio machines available that make training a breeze, because they provide a diverse and fun alternative to the typical workouts you already now – yes, we are looking at you Rowing Machine! 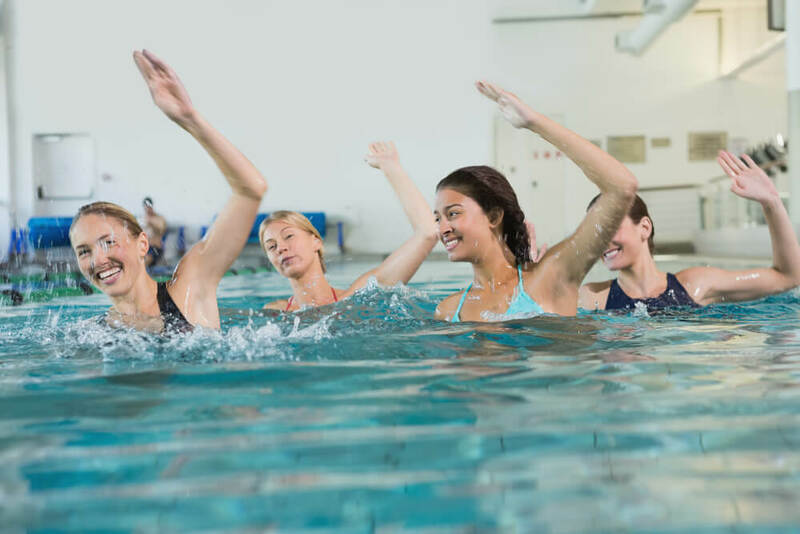 You already know what swimming is one of the most complete forms of working out, but is also an incredibly good alternative of low impact cardio for bad knees because you are floating and never actually touching the ground – causing no damage to your joints. As part of the low impact cardio machines, the elliptical provides all the long-term benefits of running, without the pounding impact. It engages your upper and lower muscles, enhances your calorie burn and even helps you build a better derrière. The weight of the ropes provide the necessary resistance to make this low impact cardio challenging and exhausting, but the results include a faster metabolism, toned arms, back and abs. Yes, low impact cardio machines include rowing indoors. Most gyms now have these fun machines so you can work your arms, back, legs and core without having to stand or even get wet! Any time of yoga can be challenging – especially if you are a beginner – and some like hot yoga have the added benefits of weight and fat loss, while working on your core and stability. Just like swimming, these are a great replacement as low impact cardio for bad knees. The floating provides the much-needed rest on your joints, while there resistance build-up does wonders for your muscle tone. Believe it or not, this low impact cardio exercise its a fantastic way to burn calories, pump up your metabolism, tone your legs and core and – of course – lose weight, all of it without putting extra stain on your joints. If you are a water sports enthusiast, kayaking is a perfect way to work your arms, back and core while also soaking up some healthy Vitamin D from the sun and catching up a glimpse of some stunning views while at it. Another form of low impact cardio that has little impact on your joints, this can be taken alone or as a group (the more the merrier!) and as studies have proven, an hour-long class provides the same advantages as a mid-distance run. With all these healthy alternatives to low impact cardio, running does not have to be a nightmare. You can now change your routine and add a bit of fun – and even something challenging – to your workout regime.